Make a homemade flypaper out of 1/4 cup of sugar & honey and 1 index card. Trap fruit flies with a funnel trap made from apple cider vinegar, paper, and a simple empty jar. Test for drain flies with tape on your sink and shower drains. Spray for cluster flies outside your home to prevent infestations. Repel flies with essential oils, cayenne pepper or by planting basil around the house. Not much is more annoying than a fly in the house. They seem determined to fly around and bother you, and conveniently ignore when you’ve left open a window for them to escape. There are hundreds of thousands of species of fly in the world. 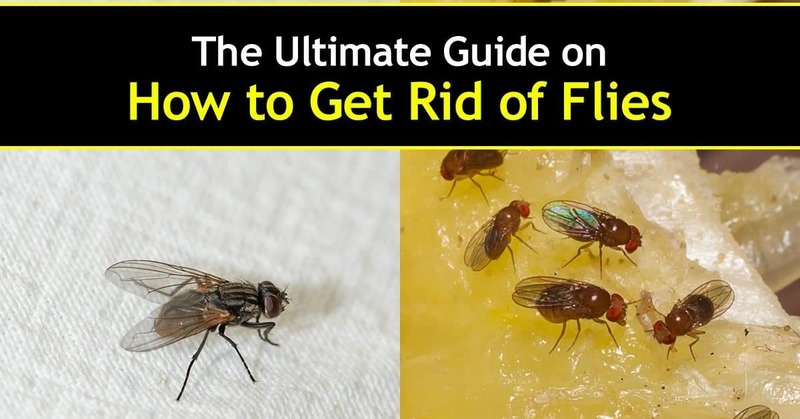 In this article, we’re going to examine everything from house flies to fruit flies and how to get rid of flies, from common methods to home remedies. Aside from being big, buzzy and annoying, these common pests can be dangerous as well. They like to land in things like rotten food and other bacteria-laden items. When they land in our food to check it out, they’re transferring everything they’ve touched — including harmful bacteria. 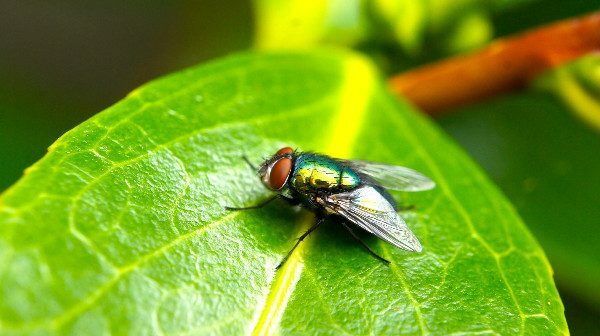 Thanks to the house fly, we can contract things such as diarrhea, cholera, and dysentery. The best way to avoid house flies in the house is to keep them from entering in the first place. Make sure all windows are closed or secured with screens and be careful not to let them inside when going in or out. It is also important to not leave anything out that would attract them, like rotting food. Cover food that you intend to leave out on the counter. They’re also attracted to feces, so clean up after your pets promptly. Running fans deter flies from coming inside. Flypaper is one way to trap and kill them. Flypaper consists of ribbons covered in a sticky, toxic substance. However, this substance can be toxic to animals and humans as well. You can make flypaper at home. Punch a hole in an index card and thread the twine through it. Cover the card in honey or corn syrup, and then coat with sugar and then hang the flypaper. When the honey dries out, spray it with the water to make it sticky again. UV traps are also useful against flies. The light attracts the flies and zaps them when they enter. If you enjoy fresh produce, you may have noticed that someone else does too: fruit flies. Often mistaken for gnats, fruit flies are the flies you find buzzing around your fruits and vegetables. Fruit flies come from miles around because somehow they just know that there is fresh or ripening fruit to be had. Since fruit flies are tiny, they’re able to get in through small crevices in your house. Some fruit flies come in with the produce. 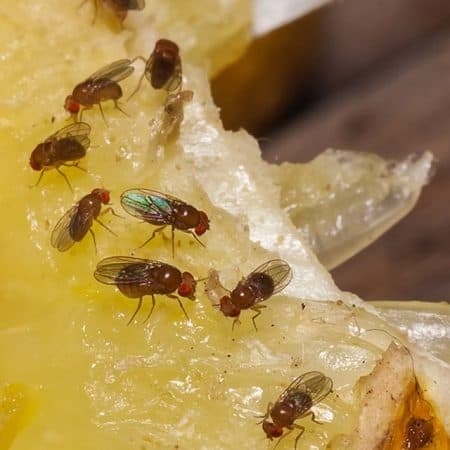 It’s possible that they hitched a ride on those bananas you bought, and just like that, you have a fruit fly infestation. They infest quickly, having a life cycle of just a maximum of 10 days. They reproduce fast and enjoy places such as your sink or garbage disposal. Luckily, getting rid of them is easy. To keep infestation to a minimum, wash your fruit when you get home, mainly bananas or any fruit you store on the counter. Washing will remove any eggs or bugs that came in with the fruit. Two types of traps work well on fruit flies: the funnel trap and the jar trap. With the funnel trap, pour an inch or two of apple cider vinegar into a glass. Add a little bit of dish soap and some overripe fruit if you like. Roll up a piece of paper into a funnel shape with a tiny opening at the bottom and tape it closed. Then place it into your glass so that there isn’t any space around it. The fruit flies will go into the funnel to get at the vinegar, become trapped, and drown. The jar trap consists of putting overripe fruit in a jar and covering the top with plastic wrap, using string to hold it in place. Poke tiny holes in the top and wait for fruit flies to flock in. They get in through the holes and again, can’t figure out how to get out. The trap works great for flies and will also help to get rid of mosquitoes inside the house. A very useful side effect. Drain flies are similar to fruit flies but are darker in color and do not go for fruit. Instead, they are found in bathrooms and drains because they breed in dark, moist places. They pose no threat to humans except possible bacteria contamination from their breeding grounds. If you see flies around the house, but they seem to be coming from a drain and not your produce, you may have drain flies. A quick way to tell is to cover your shower and sink drains with tape and see if any get stuck as they try to come out. This test is best done at night because they are nocturnal. When you’ve found the source of the infestation, clean the drain thoroughly. Pour water down the drain and clean it with a pipe brush or plumbing snake before using an all-natural drain cleaner. As long as you can keep any remaining adults from breeding again, the infestation will die with them. You can kill them like any other bug with pesticides and fly swatters. While the cluster fly looks a lot like the house fly, these flies are so named because they tend to cluster. They’re not harmful to humans or even destructive beyond leaving waste behind. Cluster flies do not bite or transfer disease. Cluster flies are born in the ground in early fall, and then seek a warm place to hibernate for the winter (and your house fits the bill). Once inside, the flies might move toward light areas. A good way to prevent cluster fly infestations is to spray around the outside of your house right before they would start to come inside, especially concentrating on the south and west-facing sides of your house. Cluster flies are hard to get rid of since they hide in crevices like attics and other voids. The best ways to get rid of them are aerosol bug sprays meant for use indoors and also vacuums, as they are slow and sluggish over the winter. UV traps are also effective against cluster flies. 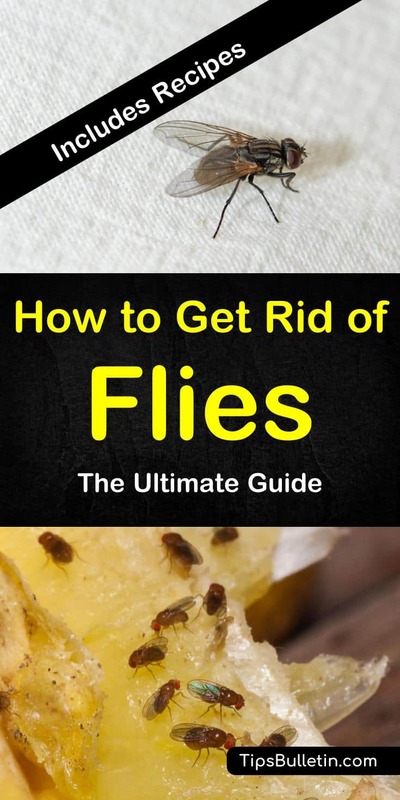 Here are a few natural home remedies to repel or get rid of most flies in your home. 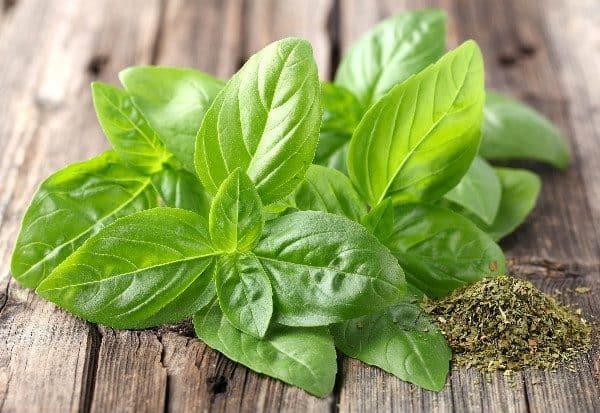 Plant basil around your house for a natural fly repellent. Spray essential oils around your house; flies hate the scent of them. Some especially useful essential oils: lavender, peppermint, lemongrass, and eucalyptus. Set out an apple into which you have inserted several cloves. The scent repels flies. Cayenne pepper mixed with water and sprayed around the house will kill flies. The scent of cinnamon will repel flies. Keep a fly swatter handy. You can use an old-fashioned manual one or get an electric one that will drop flies out of the air. In this article, you learned about common types of house flies and how to get rid of them. You learned about how fruit and vegetables attract them, how they get inside, how to keep flies away, and home remedies you can use if you have an infestation on your hands. Gone are the days of dealing with house fly infestations. You’re ready to live fly-free for life. Know someone who can use a few pointers on managing fly infestations? Share to Facebook, Twitter, and Pinterest using the links below.